Product information "CC Precision Chip Resistors"
The CC Low Resistance Precision Chip Resistor is the best choice for switching power supplies, motor speed controls, and high current sensing applications. The chip resistors with sizes of 2015 and 2520 for Wire Bond Style and 1512, 2015 and 2520 for Flip Chip Style, provides a resistance ranges of 0,010 Ω to 10 Ω. 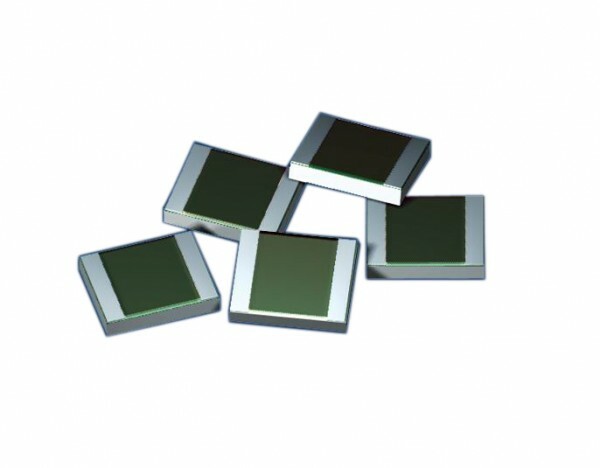 Style FC - Flip Chip version for surface mount applications. Style WB - Wire Bond version for hybrid applications with metallized back surface for solder down heat sinking of the chip, includes bondable termination pads to receive aluminum wire bonds. Thermal resistance is provided to optimize high power designs when utilizing higher thermal conductivity circuit board substrates such as IMS or Alumina. Resistance range down to 0.010 ohm at ±5%, 0.050 ohm at ±2%,and 0.10 Ω at ±1%. Low inductance provides excellent high frequency and pulse response. High pulse handling and overload capability. Best choice for switching power supplies, motor speed controls, and high current sensing applications. Related links to "CC Precision Chip Resistors"
Customer evaluation for "CC Precision Chip Resistors"